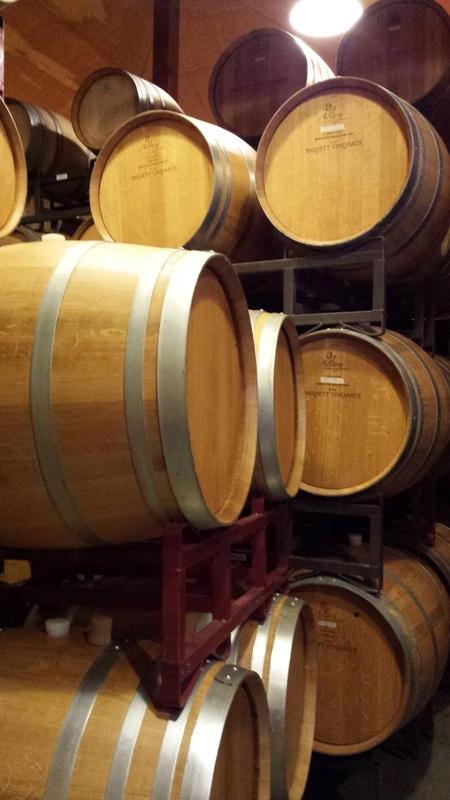 This fall WineCollective was able to spend some quality time at Barnett Vineyards. 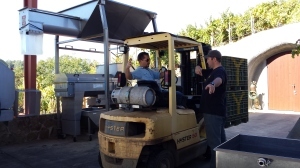 As part of the Touch the Terroir program hosted by Spring Mountain, we jumped right in during a busy harvest day at the winery. Barnett is a well-established brand in our market, however, we are given only a small allotment of their limited production. 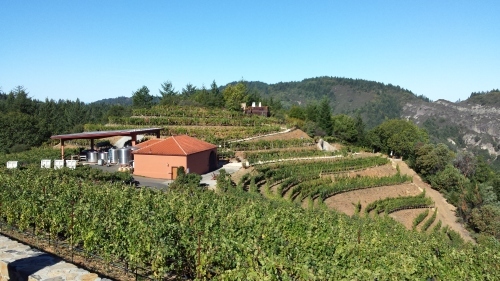 Panoramic view of the vineyards from the winery. Looking at the winery from the guest house. Barnett Vineyards began in 1983 when Fiona and Hall first started planting vineyards in Spring Mountain. Several years later, the first vintage of 100 cases was released. Today they produce just over 6,000 cases a year. Still a small production, focused on boutique style and premium quality. 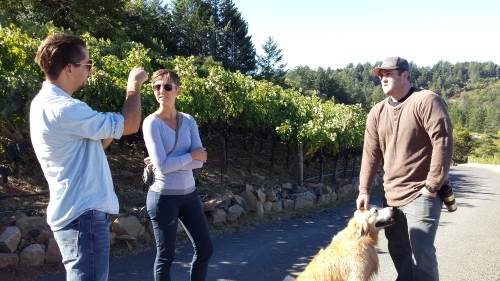 Tour of the Barnett vineyards with winemaker, David Tate. 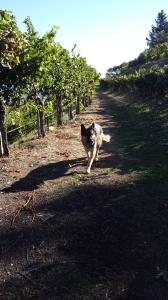 A busy time of year in the vineyard, there is lots of work to be done at harvest! 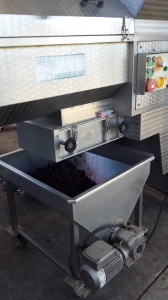 We rolled up our sleaves and broke a sweat, scrubbing ferment bins and dumping grapes through the de-stemmer. 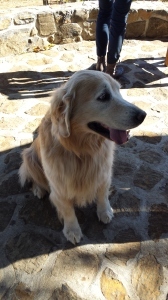 However, it is difficult to complain when resident winery dogs are your co-workers and the office is a spectacular view of the valley! Thanks to David Tate and the Barnett team for hosting us for the day! Here are a few snapshots of our time at Barnett! 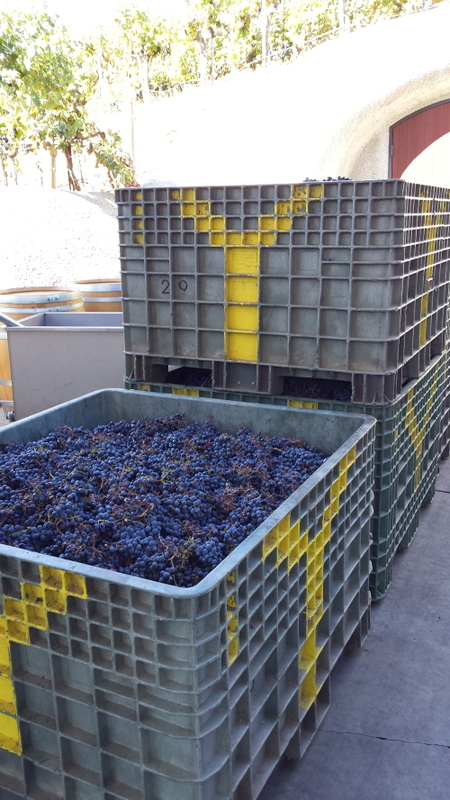 Petit Verdot brought in from the Yountville vineyards. David Tate giving direction and organizing the tanks. 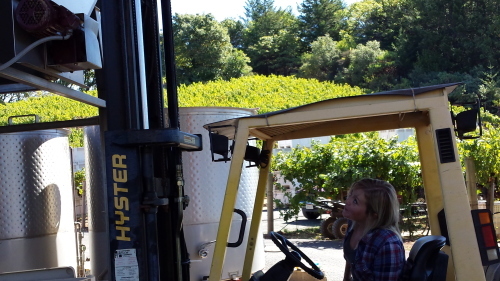 Someone was crazy enough to let Amber drive the forklift. 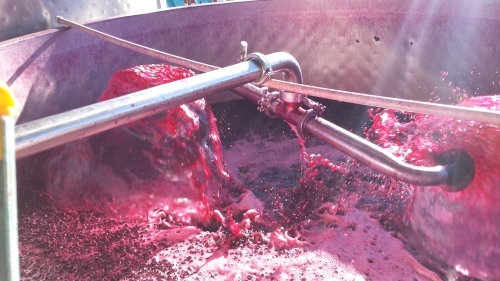 The grapes are separated from the stems and pumped into tanks. View from the top of the tank, pump-over!